Order at Baskin Robbins on GrabFood now! Be it to escape from the sweltering heat of the tropical climate in Kuala Lumpur or looking for a sweet treat, eating ice cream always whisks us to a happy place. If you are an ice cream lover, look no further at Baskin Robbins. They are an enormous ice cream brand with over 7500 locations in around 50 countries outside the United States. Their delicious ice creams are also available in-store in most shopping centres with popular flavours like the Gold Medal Ribbon and Cookies N Cream. 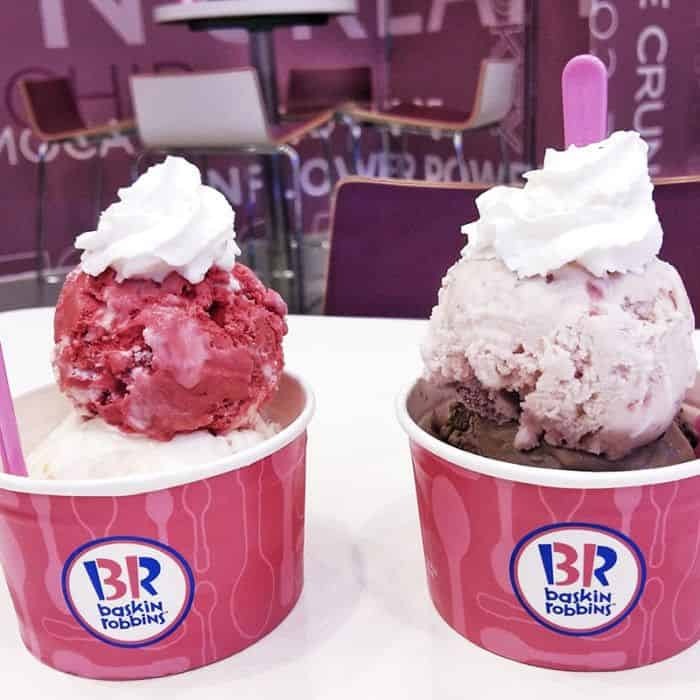 You might also remember Baskin Robbins for their promotional strategy of Pink Day Wednesdays which allows you to get Double Jr. Scoops at a price of Single Regular Scoop by showing anything pink in colour. 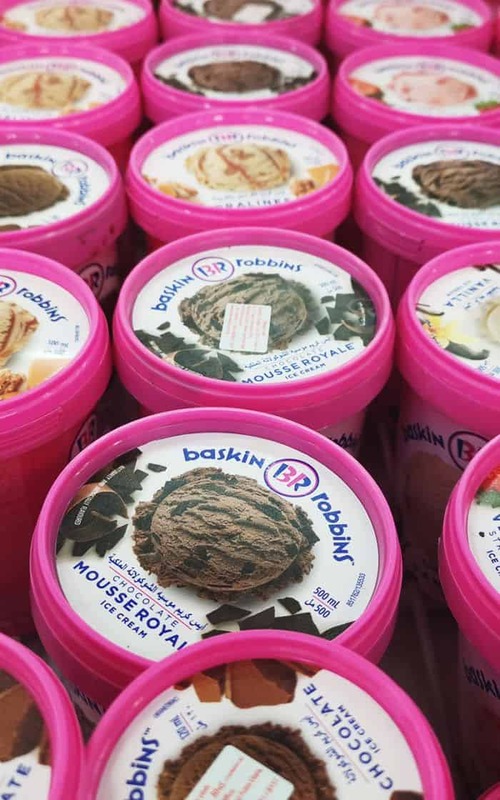 Baskin Robbins’ ice cream is also available even if you are not at the shopping mall because we can deliver Baskin Robbins to you. Whether you are looking for a hand-packed pint or a single scoop, GrabFood’s ice cream delivery service has made it easier to for you to enjoy a sweet treat. When it comes to choosing ice cream flavours, we are all guilty of wanting to try all the flavours. Here, we will be doing our best to introduce all the different flavours that Baskin Robbins has to offer! Do you know that there is a number ‘31’ in the Baskin Robbins logo? This was created to represent the customer can have a different flavour every day of the month. Take a pick from their permanent flavours including the timeless classics like Chocolate, Chocolate Chip, Cookies N Cream, Vanilla and Mint Chocolate Chip. They also offer unique names to their flavours like the Gold Medal Ribbon (Vanilla and Chocolate ice cream with a caramel ribbon), Jamoca Almond Fudge (Jamoca Ice cream with a chocolate fudge ribbon and roasted almonds), Hokey Pokey (White chocolate ice cream with crunchy honeycomb candy pieces and a caramel ribbon), Very Berry Strawberry (Strawberry ice-cream loaded with strawberries). The most unique name that we found are Love Potion #31 that is made with white chocolate and raspberry ice creams swirled with a raspberry ribbon and loaded with raspberry-filled chocolate cups and chocolate chips. 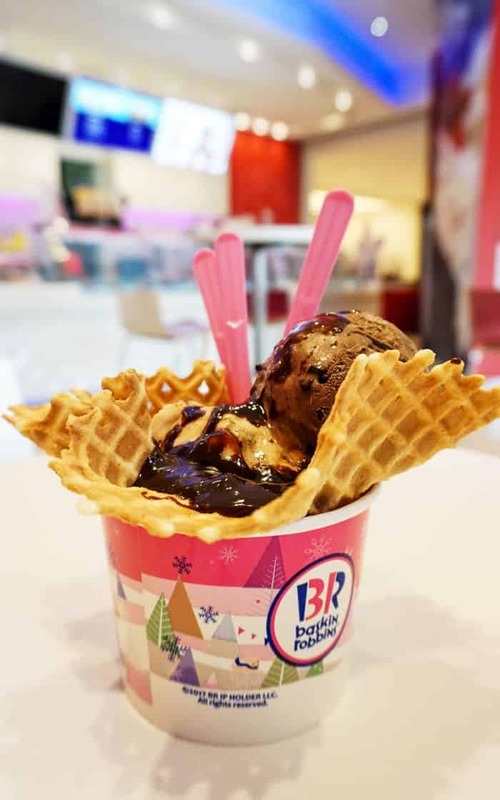 If you are looking for ice cream but are also conscious of the number of calories, Baskin Robbin has a selection of ice cream with low-fat content. The Maui Brownie Madness is a must try in this selection. It is chocolate flavoured frozen yoghurt with chunks of brownie and macadamia nuts, finished with chocolate fudge. If you prefer a flavour that has no sugar added, check out the Caramel Turtle Truffle which is a vanilla flavoured ice cream with caramel filled milk chocolate flavoured turtles with a caramel ribbon. The difference between the Caramel Turtle Truffle and the rest of the selection is the reduced fat and no sugar added in the Caramel Turtle Truffle. 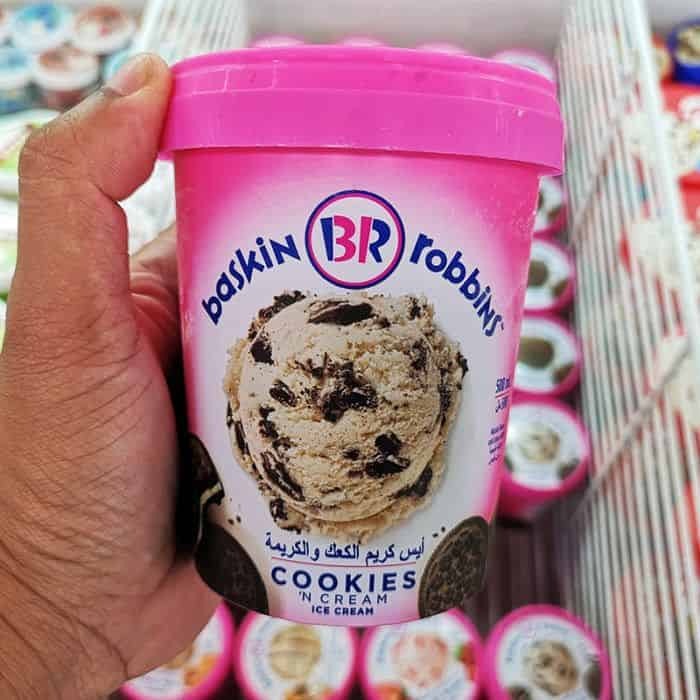 Cooling down with your favourite Baskin Robbins ice cream has never been easier! Simply order from Baskin Robbins with GrabFood’s food delivery app, be it a sweet treat for a hard day’s work or a dessert for a party you are hosting.